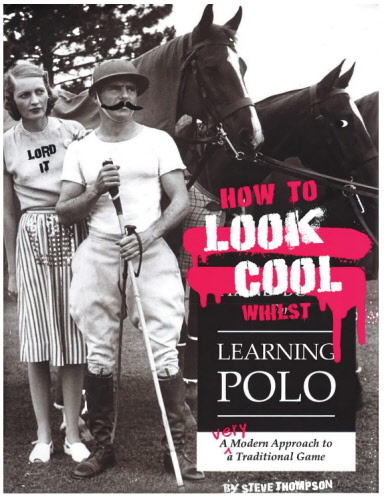 How to Look Cool Whilst Learning Polo takes a very modern approach to the traditional game of polo. The author, Steve Thompson, is a veteran polo instructor and professional player with over twenty years of teaching experience across the globe. This book is a culmination of his teaching and playing experience over two decades in the sport. More than just a technical 'how-to' guide, it provides everything you need to go from zero to hero on the polo field, and more importantly - make sure you look cool whilst doing it! Followed correctly, this book can save a lot of pain, frustration and a significant amount of cash by teaching an aspiring player how to function correctly from te very start. Becoming a polo player is just like building a house: only when there is a true and soild foundation can you begin a layer the storeys on top.